Vyrüs replied to Vyrüs's topic in Présentez-vous ! Vyrüs posted a topic in Présentez-vous ! Bonsoir, voila comme publier dernierement j'ai un soucis avec le losing key packet 9005, que j'avais regler grace a l'aide de BoT, sauf que la je viens d'avoir de nouveau ce probleme, avec ce mlog de test punkbuster Starting PunkBuster Service Tests (v0.991) (10/18/11 23:38:01) Checking OS Windows NT 6.1 (build 7600) 64-bit Checking PnkBstrA service status RUNNING Checking PnkBstrA Version OK (1034) Extracting "PnkBstrB.exe" to: "C:\Users\Jarhead\AppData\Roaming\PnkBstrB.exe" OK Checking firewall settings OFF Is PnkBstrA explicitly allowed? C:\Windows\system32\PnkBstrA.exe NO Is PnkBstrB explicitly allowed? C:\Windows\system32\PnkBstrB.exe NO Checking if PnkBstrB is running RUNNING Manually stopping PnkBstrB STOPPED Getting port for PnkBstrA OK (44301) Opening socket for packet send OK Sending version packet to PnkBstrA SENT Receiving version from PnkBstrA OK Received 6 bytes from 127.0.0.1:44301 Response = 8986 (ms) Version = v1034 Getting PnkBstrB install instance OK Sending start packet to PnkBstrA SENT Waiting for packet from PnkBstrA OK Received 3 bytes from 127.0.0.1:44301 Response = 16084 (ms) PnkBstrB started. Load SUCCESSFUL. Watching for PnkBstrB instance change (11) CHANGED (12) Getting port for PnkBstrB OK (45301) Sending version packet to PnkBstrB SENT Receiving version from PnkBstrB OK Received 5 bytes from 127.0.0.1:45301 Response = 3027 (ms) Version = 2202 Checking PnkBstrK driver status NOT FOUND Manually stopping PnkBstrB STOPPED Removing test PnkBstrB file OK ---------------------------------- Tests finished. 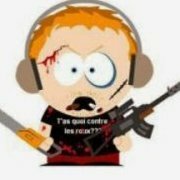 Bonjour a tous, bon j'expose ici mon probleme, a peine deux minute de jeux sur un serveur de Bad Company je me retrouve kicker pour le "Losing key packets 9005", j'ai tout tenté, la réinstallation de PB, mise a jouer, copie d'un fichier .htm, reinstallation de BF BC 2 via Origin (j'ai la version steam Deluxe), et depuis peu je recontre le meme probleme sur BP4F, ou il me dit que ma connexion a punkbister a été interrompu, le parefeu autorise tout ce qui concerne BF et punkbuster, plus de TuneUP, j'ai meme désactiver Daemon Tool par precaution, tout logiciel tiers en arriere plan, y'a rien a fait, je desespere, j'aime réellement ce jeux et je commence a etre frustré de devoir jouer a Call of ... j'en appel aujourd'hui a la communauté BF Ci-joint le test de Punkbuster =) Starting PunkBuster Service Tests (v0.990) (10/16/11 02:33:15) Checking OS Windows NT 6.1 (build 7600) 64-bit Checking PnkBstrA service status RUNNING Checking PnkBstrA Version OK (1034) Extracting "PnkBstrB.exe" to: "C:\Users\Jarhead\AppData\Roaming\PnkBstrB.exe" OK Checking firewall settings OFF Is PnkBstrA explicitly allowed? C:\Windows\system32\PnkBstrA.exe NO Is PnkBstrB explicitly allowed? C:\Windows\system32\PnkBstrB.exe NO Checking if PnkBstrB is running STOPPED Getting port for PnkBstrA OK (44301) Opening socket for packet send OK Sending version packet to PnkBstrA SENT Receiving version from PnkBstrA OK Received 6 bytes from 127.0.0.1:44301 Response = 7144 (ms) Version = v1034 Getting PnkBstrB install instance OK Sending start packet to PnkBstrA SENT Waiting for packet from PnkBstrA OK Received 3 bytes from 127.0.0.1:44301 Response = 14180 (ms) PnkBstrB started. Load SUCCESSFUL. Watching for PnkBstrB instance change (27) CHANGED (28) Getting port for PnkBstrB OK (45301) Sending version packet to PnkBstrB SENT Receiving version from PnkBstrB OK Received 5 bytes from 127.0.0.1:45301 Response = 2995 (ms) Version = 2202 Checking PnkBstrK driver status NOT FOUND Manually stopping PnkBstrB STOPPED Removing test PnkBstrB file OK ---------------------------------- Tests finished.